Lithium iron phosphate (LiFePO4) batteries have many features that make them superior to other battery technologies. They are lightweight and versatile. They have a long lifespan and a fast recharge rate. They can also withstand cold, heat, collision, and mishandling during charging and discharging without risk of combustion. But are lithium iron phosphate batteries environmentally friendly? Manufacturing batteries does require energy and resources. But lithium iron phosphate batteries have several advantages over other technologies in terms of resource consumption and safety, and they have great potential to help reduce carbon emissions when used in wind and solar power systems. Let’s take a look at a few of the environmental benefits of using LiFePO4 battery technology. And perhaps most importantly, LiFePO4 batteries are inherently stable and non-combustible, and they are free from dangerous and messy outgassing, fumes, and leaks. The disposal or recycling of batteries remains a key environmental issue. More than 3 million tons of lead-acid batteries are discarded every year. Some are safely recycled to recover the lead and other materials. But many lead-acid batteries end up in landfills, especially in developing countries, and toxins can cause fires and explosions and poison food and water supplies for generations. With electrodes made of non-toxic materials, lithium iron phosphate batteries pose far less risk to the environment than lead-acid batteries. They can also be recycled to recover the materials used in their electrodes, wiring, and casings. Some of this material can be used in new lithium batteries. Even now, buyers can choose to buy LiFePO4 batteries made from recycled materials. The long lifetimes of lithium batteries used for energy storage and transportation mean that many are still in use, so recycling processes are still in their infancy. As more lithium batteries reach their end of life, recycling will become more efficient as engineers improve processes to recover key materials. There are big environmental advantages to using lithium iron phosphate batteries over lead-acid batteries. But how do LiFePO4 batteries stack up against other types of lithium batteries in terms of environmental friendliness? Lithium itself is not toxic and it does not bioaccumulate like lead or other heavy metals. But most lithium battery chemistries use oxides of nickel, cobalt, or manganese in their electrodes. Estimates suggest it takes 50% more energy to produce these materials compared to the electrodes in lithium iron phosphate batteries. A 2013 report by the EPA revealed Li-based batteries based on nickel or cobalt have the highest environmental impact including resource depletion, ecological toxicity, and human health impacts, all almost entirely due to the production and processing of nickel and cobalt. Phosphate salts are also less soluble than metal oxides, so they are less likely to leach into the environment if the battery is improperly discarded. And of course, LiFePO4 batteries are chemically stable against combustion and rupture under nearly all operating and storage conditions. Once again, lithium iron phosphate batteries come out ahead. While it does take resources to produce practical and efficient batteries, not all battery technologies are created equal. Lithium iron phosphate batteries not only have superior operating characteristics compared to lead-acid batteries, they’re also far less toxic to produce and recycle. Compared to other lithium battery technologies, LiFePO4 batteries use more abundant and non-toxic materials that can be produced with less energy. And most promising of all, the performance and safety of LiFePO4 batteries make them a superior choice for electricity storage in zero-emission renewable electricity wind and solar power systems. We’re all concerned about protecting the environment, and we strive to do our part to reduce pollution and resource consumption. 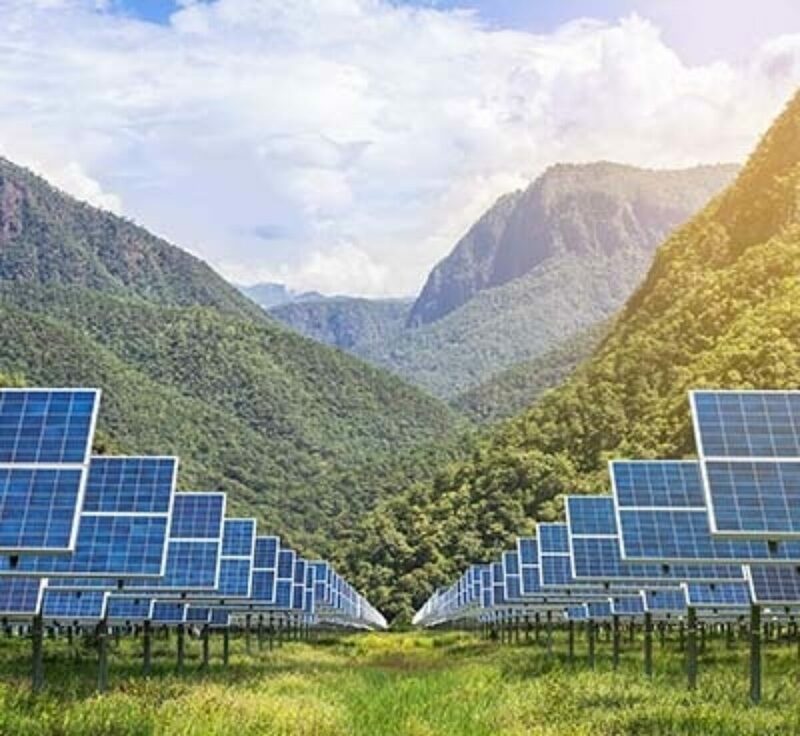 When it comes to choosing a battery technology, lithium iron phosphate batteries are an excellent choice for enabling renewable energy like wind and solar and for minimizing the consequences of resource extraction. As lithium iron phosphate batteries become more widely adopted, the benefits of this technology for the environment will continue to grow.